Certain adjudicated youth would be temporarily barred from possessing firearms under a bill advanced from general file by the Legislature March 22. 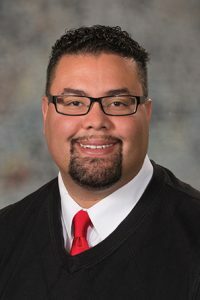 Under LB990, introduced by Omaha Sen. Justin Wayne, a person younger than 25 would be prohibited from possessing a firearm if they have been adjudicated in juvenile court of a misdemeanor domestic violence charge or any felony, are a fugitive from justice, or are the subject of a current domestic violence, harassment or sexual assault protection order. Wayne referenced a pending case involving a 17-year-old who shot a sheriff’s deputy. The alleged shooter is now 18, he said, and under current law could legally own an assault rifle when he turns 19. 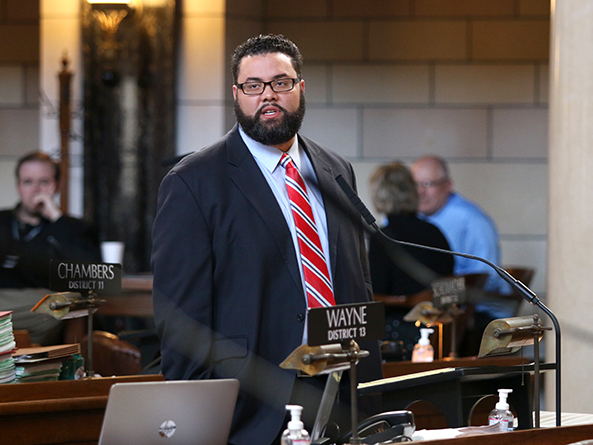 The bill is about making sure that violent juvenile offenders do not have access to weapons and ensuring the safety of our communities, Wayne said. A person who violates the bill’s provisions would be guilty of a Class IIIA felony for a first offense, which carries a penalty of up to three years imprisonment and 18 months post-release supervision, a $10,000 fine or both. Second and subsequent offenses would be a Class III felony, eligible for up to four years imprisonment and two years post-release supervision, a $25,000 fine or both. The prohibition would not apply to the possession of firearms by members of the U.S. Armed Forces, National Guard, Reserve Officers Training Corps, or law enforcement officers while on duty or during training. A person subject to the bill’s provisions could file for an exemption. The court would consider the person’s behavior following adjudication, the likelihood of recidivism and any other relevant information. Under a Judiciary Committee amendment, adopted 39-0, the bill’s prohibition on firearm possession would not apply to a juvenile who is a fugitive from justice or the subject of a current domestic violence, harassment or sexual assault protection order. The amendment reduced the proposed penalty for a first offense from a Class IIIA felony to a Class IV felony, which carries a penalty of up to two years imprisonment with one year of post-release supervision, a $10,000 fine or both. Additionally, the penalty for potential subsequent offenses also was reduced from a Class III felony to a Class IIIA felony. When a petition initially is filed in juvenile court charging a juvenile with a misdemeanor domestic violence or felony charge, the court would be required to inform the juvenile of the specific legal impact on the juvenile’s rights to possess a firearm. Henderson Sen. Curt Friesen spoke in support of the bill. He said that while semiautomatic weapons have been around for nearly 100 years, school shootings did not exist until 20 years ago. Something in society has changed with regard to kids and guns, Friesen said, and LB990 is a good first step in addressing that problem. Opposing the measure was Omaha Sen. Ernie Chambers. The proliferation of guns in the black community is the real problem, he said, but the bill addresses only the symptoms of that problem. Further, he said, the new penalties proposed by the bill would be applied disproportionately to black juveniles. Lincoln Sen. Patty Pansing Brooks expressed concern that a juvenile’s criminal record could be used against them as adults. “I’ve really struggled with the fact that if some kid does something wrong as a juvenile, goes through the process and completes probation, that they could be riding in a car with a gun in the glove box and be guilty of a felony,” she said. Senators advanced the bill to select file on a 30-1 vote.